Unless you’ve got a lonely TV hooked up to rabbit ears, chances are fairly good that you have a fair number of remotes in your home. Universal remotes are great, but since manufacturers can only fit so many buttons on a remote, they’re always going to be somewhat limited. Sony is taking a unique approach to solving this problem with its new Huis Remote Controller. 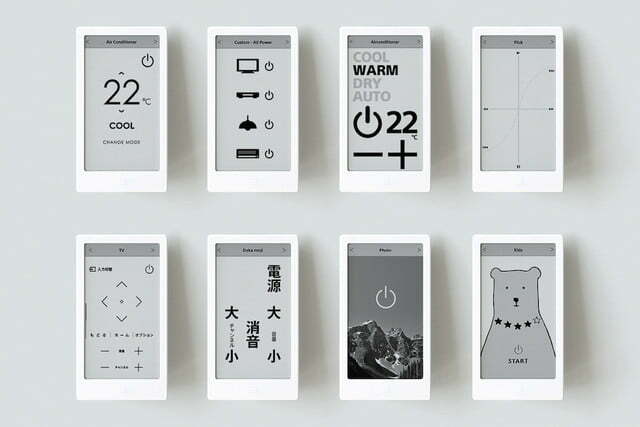 The basic idea is the same as any other remote, but with one big difference: the Huis uses an E-Ink display that allows it to show different controls based on the device it’s controlling. 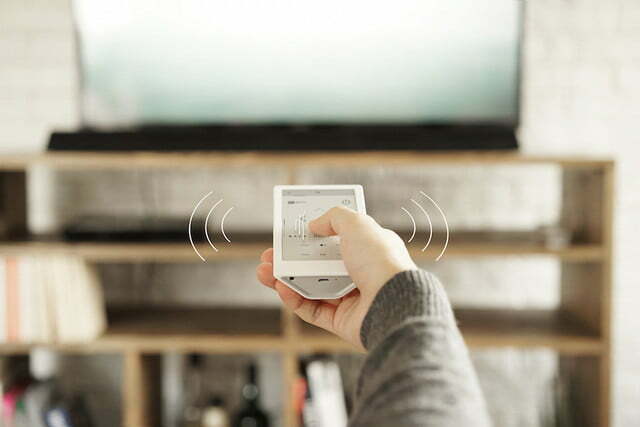 Thanks to the reconfigurable screen, the Huis can control much more than the standard universal remote. In addition to your TV and Blu-ray player, this remote can also control everything from lights to home appliances like air conditioners. 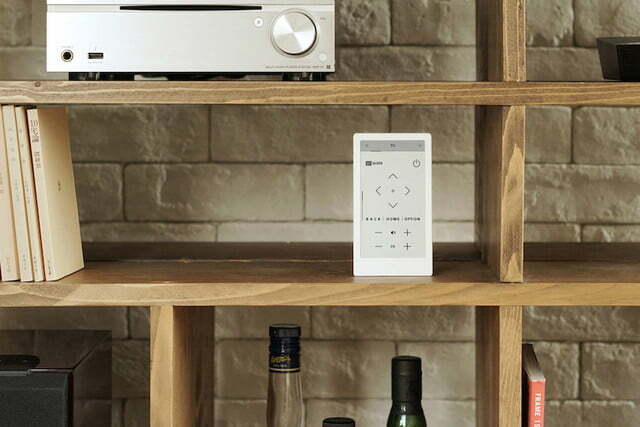 The Huis is a result of Sony’s First Flight crowdfunding website, which the company launched last summer. The remote was one of the first products announced as part of the program, and now it is finally available to consumers. Logitech Harmony remotes have offered displays before, but these were smaller and still accompanied by buttons. 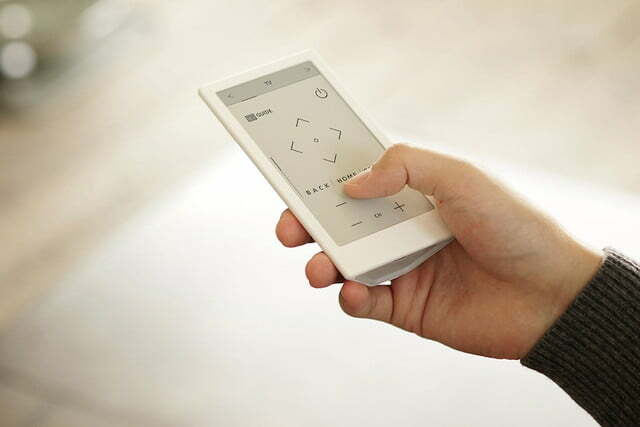 Sony could have gone for an LCD display for the Huis, but an E-Ink display allows for much better battery life. Of course, this isn’t going to come cheap. The Huis Remote Controller sells for 27,950 Yen, or roughly $250. The remote can be ordered now, but the first units aren’t expected to actually ship until sometime in March. Unfortunately, unless you live in Japan, you may never get a chance to try the Huis for yourself. As The Verge’s Sam Byford points out, other products that came about as a result of the First Flight program like FES and Wena Wrist watches have never been made available in other countries. Still, if the Huis works as well as it seems it has the potential to, it’s likely that Sony or another company will release a remote using the same technology.